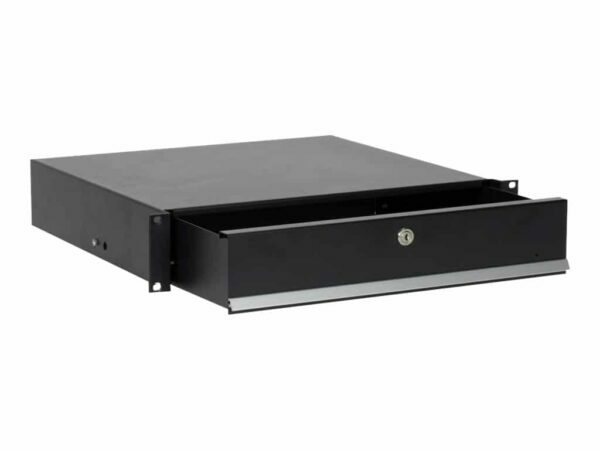 HPE Universal Locking Rack storage drawer mounts on HP 10000 Series racks with sliding rails and is used to store CDs, instruction manuals, tools, and any other item that is frequently used at the rack. Drawer includes lock. Qty 1, 2U Universal Locking Drawer by Hewlett Packard Enterprise.